With over 20 years of financial services, business and investment experience, Meeta is actively focused on providing discretionary investment management services to high net worth individuals and families, estates & trusts, and charitable and business organizations. She has experience dealing with complex financial, tax and estate planning issues, including business succession planning and leveraged insurance solutions. Meeta's primary role is to provide investment counsel to her clients, specifically to develop and implement investment strategies tailored to meet their individual needs. She is responsible for the design and delivery of distinctive investment management solutions and services to private clients, corporations, foundations, estates and trusts. Her career has been built on years of experience providing counsel to high net worth clients. She began her career with a major chartered bank and then moved to medical investment firm as a Senior Financial Consultant. 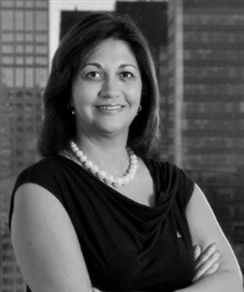 Meeta joined TD Wealth Private Client Group in 2008. Meeta is a graduate of the University of Calgary with a Bachelor of Science degree. She also holds the following industry designations: Canadian Investment Manager (CIM), Fellow of the Canadian Securities Institute (FCSI) and Certified Financial Planner (CFP). Ms. Plesa joined Private Investment Counsel in X 2013 and has been with TD Bank Group for more than 20 years. Her previous positions include Manager, Financial Services with TD Canada Trust.In her role, Debbie acts as a secondary contact for Portfolio Managers assisting with the preparation of customer portfolio reviews, handling clients cash transfers and remittance requests, and administrative account duties. Debbie currently supports Portfolio Manager Gabe Carbone and Associate Portfolio Manager, Meeta Keeley.Debbie is a graduate of the University of Calgary (B.A. - Econ.). As well she has completed the Investment Funds in Canada, the Canadian Securities Course and the Conduct and Practices Handbook.